Throughout the country and in Philadelphia, finding affordable, quality day care has become increasingly difficult for the working poor. This is the first of a four-part series from Germantown Beat about the "child-care crisis in Germantown." Kunta Littlejohn, 36, pulled his metallic black Nissan Altima into a parking lot on the campus of La Salle University on a cold December day. As he walked into a large building with colorful playground equipment in the yard, he greeted other adults with small children in tow. Littlejohn, an electrician, had come to Building Blocks Child Development Center, a day-care center housed on La Salle's campus, to pick up his four-year-old daughter Camille. He and his wife, who also works full time, chose Building Blocks because it promotes learning rather than simply warehousing children. "It wasn't just a day care," Littlejohn said. "They actually taught them and had a curriculum that they follow." The Littlejohns live in Germantown. They said they consider themselves lucky to have found a high-quality day-care center in their predominantly black, working-class neighborhood. Building Blocks is one of only three among the estimated 90 day-care centers in the Germantown area that have been rated "four star," the highest rating possible under Pennsylvania's Keystone STAR system for evaluating childcare quality. "We want to make children happy," explained Gira Mehta, director of the nonprofit center, which has been in operation for more than 30 years. "We are always looking out for the children's well being." Building Blocks, which enrolls 45 children from 12 months to five years of age, is an anomaly. Throughout the city and country, finding affordable, quality day care like Building Blocks has become increasingly difficult for the working poor. In Pennsylvania, low-income parents can qualify for government subsidies that cover most of the cost of day care, but federal and state funding for the program simply can't keep up with demand, creating long backlogs of waiting lists for subsidized slots. And even when children can get off the waiting list and into centers, the quality of their care can be questionable, advocates say. "There are some providers who are just babysitters," said Shirley P. Thomas, director of the Northwest Philadelphia office of Child Care Information Services, which oversees the state's daycare-subsidy program. "Then there are those who go the extra distance." 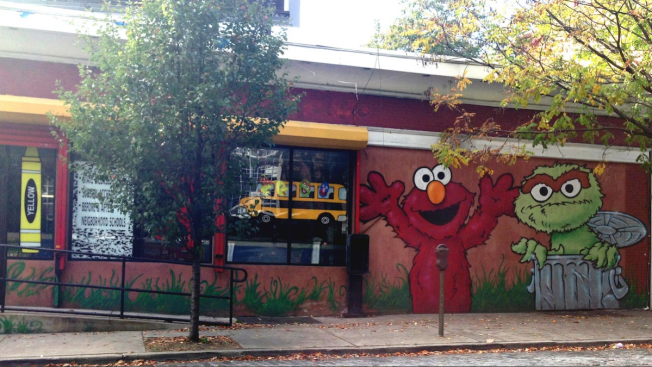 In Germantown, you can find a day-care center on almost any block (and multiple centers on some blocks). They go by such lofty names as "Little Einsteins," "Smarty Pants," "Divine Toddler Town," "Little Steps to Paradise" and "Brilliant Minds." But many, according to advocates, suffer from too few or inadequately trained and underpaid staffers, sketchy business plans which can easily go bust, cramped classrooms and tiny outdoor play areas. Some are located adjacent to abandoned buildings littered with trash. At least one is across the street from an adult novelty store. "Anybody can open a day care," claimed Kadijah Sabir, public policy coordinator for the Delaware Valley Association for the Education of Young Children (DVAEYC), which lobbies for high-quality, affordable daycare. While all day-care centers must be licensed by the state, centers are not required to seek accreditation by the National Association for the Education of Young Children. Participation in Pennsylvania's Keystone STAR program – aimed at boosting quality — is also optional. About $34 million a year in government funds now flow into Northwest Philadelphia to provide subsidized day-care slots for some 6,000 children from about 3,000 low-income families, Thomas said. Although the funds fall far short of the need, the money is 10 times more than Northwest Philadelphia received in 1994, she said. The demand for day care in poor neighborhoods surged in the mid-1990s when the Clinton administration pushed through welfare reform, requiring single mothers receiving cash assistance to get job training and eventually enter the job market. Although many of these women are now gainfully employed, they often work at low-paying or part-time jobs that don't pay enough to cover day-care costs, which can run as high as $800 a month. Muse, who is attending graduate school to boost her competitiveness in the job market, works part time for a local TV station where she earns $137 a week, not enough to cover child-care costs on top of living expenses. Members of her extended family, she said, take turns caring for her daughter, and her mother sometimes foots the bill for Aniyah to spend a few days at a day-care center where she is learning her alphabet. Muse's plight mirrors that of others parents across the country, including those in the middle class, who make too much to qualify for subsidies but who are getting squeezed by rising day-care costs and declining earnings. The problem has spurred a flurry of legislative proposals — from the White House to Congress to municipalities like New York City — to address it. In his State of the Union address last February, President Barack Obama called for a $75 billion program over the next 10 years that would mandate states to provide pre-kindergarten for four-year-olds and full-day kindergarten for five-year-olds. The expansive program, aimed not only at helping struggling families but also at developing an educated workforce, would be paid for by an increase in the cigarette tax. "Today, fewer than three in 10 four-year olds are enrolled in a high-quality preschool program," Obama said. "For poor kids who need help the most, this lack of access to preschool education can shadow them for the rest of their lives." While Obama's proposal has gone nowhere, a scaled down version of the plan was introduced in Congress last November by U.S. Rep. George Miller (D-Cal.) and now has 48 co-sponsors. Rather than mandating early childhood education, the measure – known as the Start Strong for America's Children's Act of 2013 – promises federal funds to states that voluntarily agree to provide free pre-k programs. "We know that children enrolled in early childhood-education programs are better prepared to succeed in school and life," said U.S. Rep. Chaka Fattah (D., Pa.), a co-sponsor of the bill, whose district includes Germantown. "Yet we also know that too many students, both in the Philadelphia area and beyond, don't have access to affordable, quality early childhood education and child-care programs." Philadelphia Mayor Michael Nutter has made improving child care a key component of his recently announced anti-poverty plan that aims to reduce the city's 28-percent poverty rate, the highest among the nation's 10 largest cities. Among children in Philadelphia, the poverty rate is even higher – 39 percent. The 64-page plan, announced last August, is known as Shared Prosperity Philadelphia. It warns that the city's children face "glaring disadvantages" beginning at an early age because they lack access to high-quality, affordable daycare. The plan notes that 61 percent of children under the age of five come from low-income families who would qualify for subsidized daycare, but only a third of the families actually receive it. While the city has 871 day care centers that participate in the Keystone STAR rating system, only 139 of those are rated three- or four-star. Among other goals, the anti-poverty plan aims to double the number of three- and four-star programs over the next year and have them serve twice as many children. It also calls for a 25 percent boost in the number of children entering kindergarten with "pre-literacy" skills. At a City Hall news conference to announce the plan, Wayne Jacobs, director of X-Offenders for Community Empowerment, argued that more funding for day care is needed to break what he called the "cradle-to-prison pipeline" that afflicts African American men in poor neighborhoods. "They determine how many jail cells to build based on third-grade test scores," Jacobs said during a recent interview. "That's how the pipeline starts." Eighth District City Councilwoman Cindy Bass, whose district includes Germantown, applauds the efforts at both the federal and local level to bolster early childhood education. She wants to help day-care centers establish a structured curriculum, attract professional teachers and offer incentives for staff to continue their education. "Early education for children also has long-term benefits resulting in helping to erode the cycle of poverty among families," Bass said. A key question is whether federal, state and local government will come up with the money to finance the proposed expansion of current programs. Miller's bill, for instance, has only a slim chance of even getting out of committee, according to GovTrack, a non-partisan online tool that tracks Congressional legislation. In Philadelphia, where the city's public school system is in fiscal crisis, there isn't enough money to fund elementary and secondary schools, much less early childhood education. Nutter's plan "sounds good" on paper, said Thomas of the Child Care Information Services, "but there aren't even enough funds to fund the public schools." Mike Mcleod and Patrick Moyer are La Salle University students who write for GermantownBeat, a local student-produced news site. NewsWorks features articles from GermantownBeat on its Northwest Philadelphia community sites and contributes multimedia journalism training to the program.